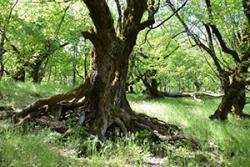 Despite their role in conserving biodiversity, the SNS of Epirus are now themselves endangered. This is due to changing demographics and land use, primarily through rural depopulation in most mountainous areas of Epirus since WW2. Given recent rural depopulation, it is difficult for local communities to continue to enforce the rules, which used to protect their SNS as locally adapted management systems. For this reason, the THALIS-SAGE project also included initiatives for the promotion of their cultural and educational value. Bangor University project partner, Professor John Healey, of the School of Environment, Natural Resources & Geography and University of Ioannina project leader, Professor John Halley, conclude that "the best conservation strategy for these and other SNS of similar sizes worldwide is to link them in networks within conventional conservation schemes." Project researcher, Dr. Kalliopi Stara, added "this needs to be done in collaboration with local communities."